Bo Galles is an Albuquerque native and a graduate of the University of New Mexico. Bo spent nine years in automotive retail and service, beginning as a junior technician in 2004 and working in Internet sales, finance and management until 2012 when he began his commercial real estate career as a leasing agent with an area retail developer. Following his time as a retail leasing agent, Bo joined Colliers International as a retail specialist in 2016. 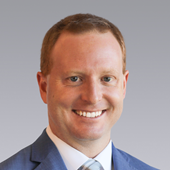 In addition to his work at Colliers, Bo has served on the board of the Commercial Association of Realtors - New Mexico (CARNM) Leasing Information Network and is slated to be the Chairman of the Leasing Information Network for CARNM in 2019. In addition, Bo is a member of NAIOP, NAIOP Developing Leaders and ICSC and has spent time volunteering with Roadrunner Food Bank and New Day Youth & Family Services. Bo is a retail specialist who represents both landlords and tenants, as well as investment sales and land transactions as they relate to the retail sector. Sprint, Little Caesar's, Liberty Tax, Casa Taco, Amy's Donuts, It'Sugar, Cheba Hut, Galles Chevrolet, Icicles Rolled Ice Cream, Aramark Refreshment Services, Oueis Gas, Inc., Cantero Brewing, Christopher James Hair Salon. Baceline Investments, Ethan Christopher Investments, Oak Realty Partners, C-III Capital Partners, Goodman Realty Group. A native of Albuquerque, Ben learned the business from his father, managing partner at a regional architecture firm. As a graduate of Texas Tech University’s Rawls College of Business with a Bachelor’s degree in Finance and a minor in Real Estate, Ben established an excellent platform on which he has built his career. As an active member in the local business community, Ben has built an expansive network of both retail and office tenants and landlords. Ben's specialty is in landlord and tenant representation services, acquisition and disposition of land, and investment sales of commercial property. Ben’s educational background combined with his hands-on experience in the local Albuquerque market and exceptional enthusiasm gives him a unique edge in assisting his clients to achieve their goals.